Forex reserve of the country plunged by $1.82 billion during the week ended August 10, official data showed on Friday. According to the Reserve Bank of India (RBI) weekly statistical supplement, the overall forex reserves plunged to $400.88 billion from $402.70 billion reported for the week ended August 3. 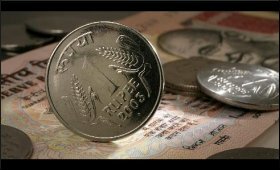 A strong US dollar and subsequent interventions by the country's central bank to stabilise the rupee drained over $1.80 billion from India's foreign exchange (forex) reserves. Segment-wise, FCAs -- the largest component of the Forex reserves -- receded by $1.94 billion to $376.26 billion during the week under review. However, the value of the country's gold reserves increased by $145.6 million to $20.69 billion. As per the data, the SDRs' value slipped by $9.2 million to $1.46 billion, while the country's reserve position with the IMF inched down by $9.2 million to $2.45 billion.